I think many violin makers have a mixed relationship with science. In the abstract we’re fine with it, but when science turns her all-knowing eye towards us and our instruments we get a bit squeamish. Don’t get me wrong, of course it’s wonderful to gain new insights into our favorite subject. And there are makers who are super into acoustics and other areas of scientific inquiry. On the whole, however, there tends to be a hefty dose of skepticism and aloofness mixed in with all that fascination. Every time a new scientific study about violins comes out, there are two critiques that tend to pop-up again and again. First, there are the makers who ask “But how do I apply this to my making?”, often with the not-so-subtle implication that if it doesn’t help them make a better violin the study is basically worthless. To be honest, I don’t have a lot of sympathy for this line of criticism. I understand it though. I too am busy and don’t really have time to learn a bunch of specialized scientific jargon in order to parse some academic paper just to glean an abstract truth about the physical object already on my workbench. But I also know that that’s not science’s problem. I’m not the intended audience for these papers, and Science isn’t actually in the business of producing actionable intelligence anyway, just Knowledge1With heavy caveats.. At the end of the day I don’t actually care all that much if this or that bit of research helps me make a better violin. I think violins are cool so I am happy to enjoy any insight—however abstract—into them. Second, there are the complaints about how the researchers didn’t take into consideration or failed to understand this or that aspect of violins or of making. These complaints chide the scientists for telling us something that we already knew, for overgeneralizing or hyper-focusing on details. A lot of this comes down to Science failing to face and grapple with the materiality of violin making. Science is a powerful tool, but so are the cumulative experiences and craft knowledge of makers and musicians. It’s with that in mind that I want to talk about three recent-ish scientific papers. 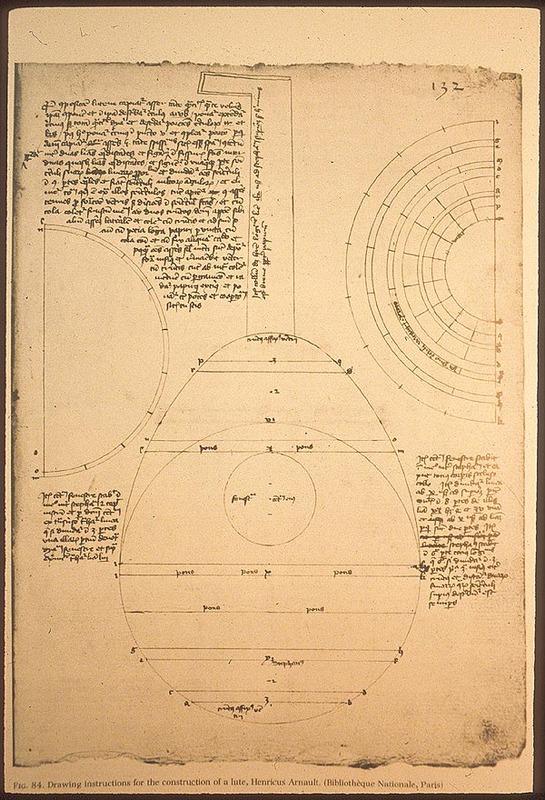 I have a few thoughts on their scientific merit, but mostly I want to try to put their scientist episteme in conversation with the techne of making. 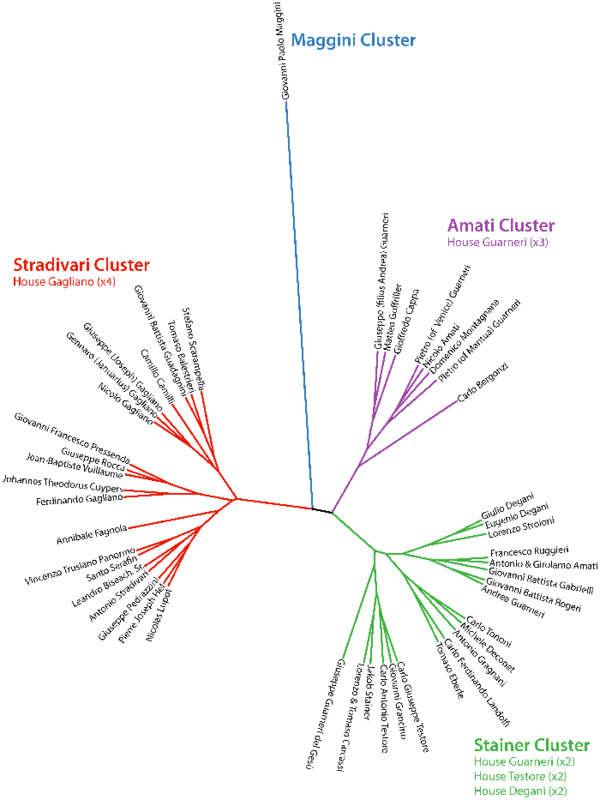 I’m going to start with one of my favorite recent-ish papers: Imitation, Genetic Lineages, and Time Influenced the Morphological Evolution of the Violin by Daniel H. Chitwood. The idea of this study was to see how much can be learned about instruments by looking only at the shape of their outlines2Note that this purposefully ignores their size. The technique Chitwood employed is one he usually uses to analyze leaves and draw conclusions about their evolutionary relationship to each other. 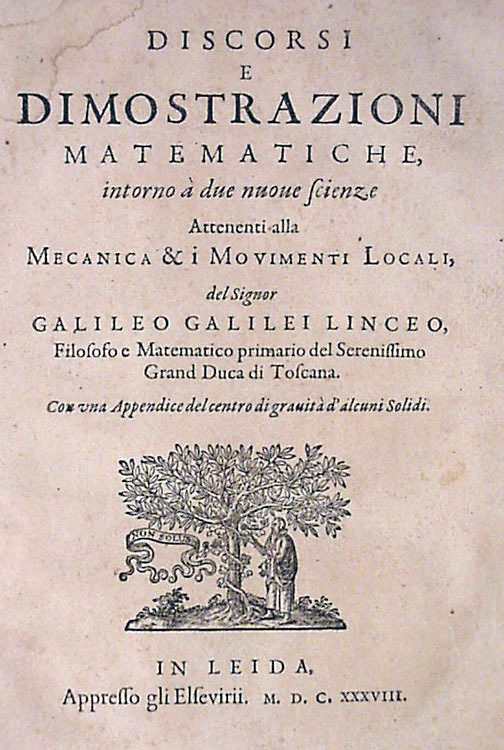 The basic approach is to learn about the relationship between shapes by asking “What is that distinguishes one from the other?” Here, instead of trying to differentiate leaves by species, he looked at instruments first by type—violin, viola, cello, or bass—and then by maker—Magini, Lupot, Degani etc. To do this he needed a large database of instrument outlines. Luckily the Cozio archive has photos of thousands of instruments, which he was able to take and then turn them into machine readable mathematical formulas. Next those formulas were analyzed using a technique called linear discriminant analysis, which tries to find mathematical characterizations of difference (which are called linear discriminants) that can be used to categorize objects into classes. Because all of this is happening mathematically the result is very different from how we humans would go about the same task. So instead of say “the ratio between the width of the upper and lower bout” or “the squareness of the shoulders” we end up with something that is complex, abstract, and can’t really be put into words. He first does this for instrument type—i.e. 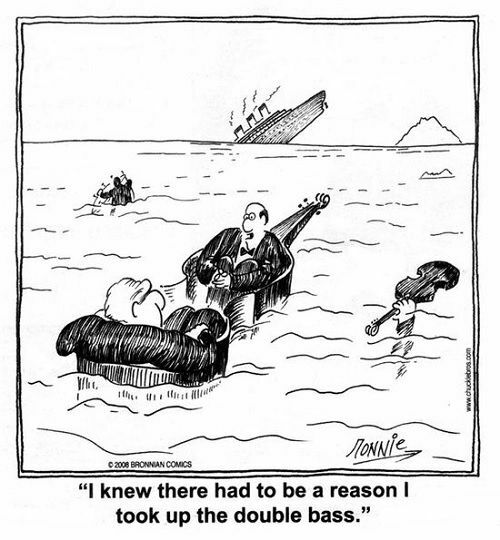 violin, viola, cello, or bass—and comes up with three linear discriminants: LD1, LD2, and LD3. LD1 captures the difference between basses and everything else, and does so very well. LD2 does an admirable job of capturing the difference between cellos and violin/violas. Lastly, LD3 sort of captures the difference between some violas and violins, but it will come as no surprise that many violas seem to basically be scaled up violin shapes. None of this is new or surprising: many violas look like violins and basses look different from everything else. But it’s a good warm up act to show that the technique can work for instrument outlines. Also, as a maker it is somewhat interesting to think about the differences between the instruments purely in terms of outline and how they might relate to necessary differences in construction, acoustics, playability, or aesthetics, especially as we scale between different instrument types and even within instrument types, as we so often have to do with violas. I also have three follow up questions that I wish Chitwood had addressed, specifically with regard to the violas whose LD3 values are within the violin range versus those that are different. First, one hypothesis worth looking into is whether this is driven primarily by a greater representation of Brecian instruments—which are maybe less similar to the violin average—in the set of violas vs. the set of violins he examined, or is something else going on? 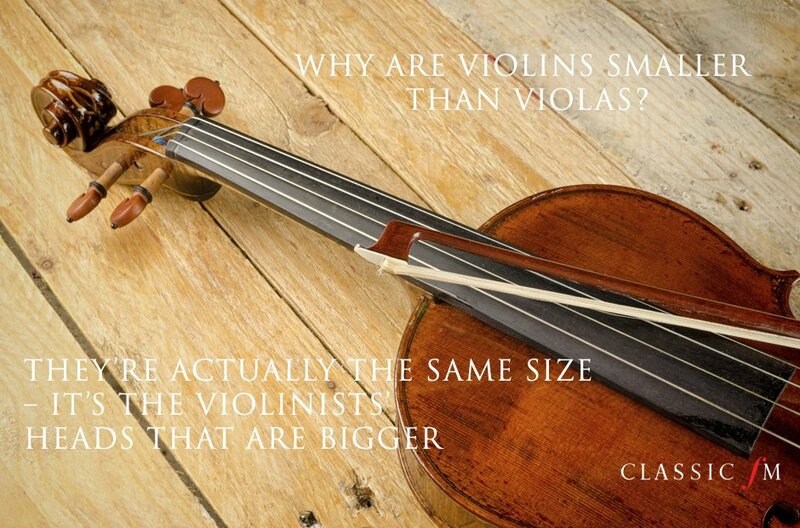 Second, it would be interesting to see whether there is is any sort of correlation between a viola’s size and LD3. For example, perhaps larger violas are more violin like, while smaller violas require greater alteration to get them to work. And third, I would be curious to plot out where the more common models that makers tend to copy and consider “successful” fall along the LD3 scale. 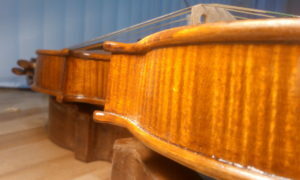 The second part of the study applies the same approach to categorizing violins by maker. The idea here was not to see whether it was possible to train a computer algorithm to identify instruments from their outline—Philip Kaas’ job is safe—, but what can be learned about the relationship between makers from how a computer algorithm identifies instruments. Specifically they tried to (1) tease out where direct copying versus evolutionary influence or drift was responsible for similarities, if there were any, between makers and (2) they wanted to see if it was possible to build a sort of genealogical map of instrument styles based on their outline. To answer the first question they looked for correlations between makers’ styles and when they worked. They found that one particular linear discriminant, which they called LD13Note: this is not the same LD1 from the first part of the study., had a relatively strong correlation with when the instrument was made. The reason for this appears to be mostly because of Stradivari. A low LD1 number is indicative of a Strad shaped violin. 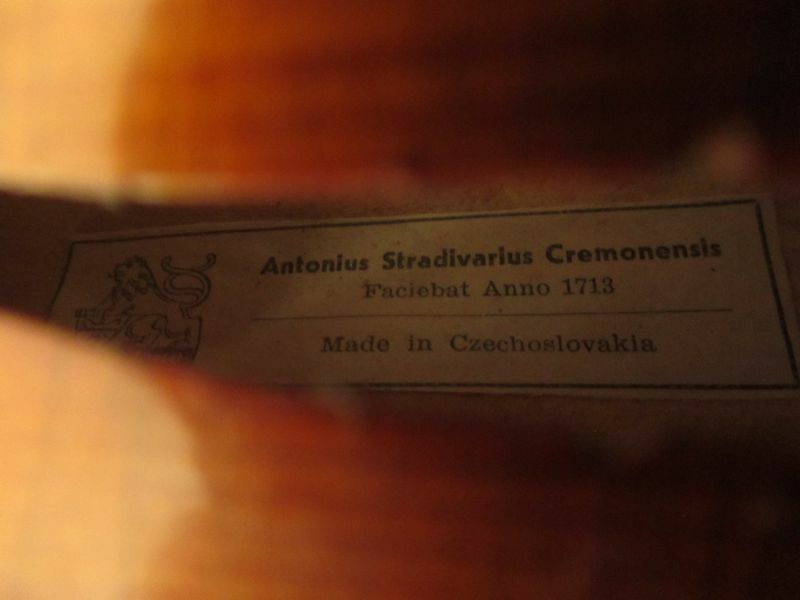 Because of this, before Stradivari all instruments had high LD1 values. During Stradivari’s life a few instruments, i.e. his, had low LD1s and then as time went on makers began copying Stradivari so more and more violins had low LD1s. It is important to note that this appears to be primarily because of direct copying, and not a general trend or convergence in making towards instrument outlines that have lower LD1 values. This is mostly clearly evidenced, first, by how sharp the rise in the number of instruments with lower LD1 values around 1800 is, and, second, by how the computer algorithm—when using all 85 linear discriminants—will often erroneously attribute violins made by later makers, such as Lupot or Bisiach, to Stradivari, i.e. while LD1 is the most pronounced characteristic of Strad it looks like later makers were copying all of his characteristics and not just happening to emulate one of them. For us makers there is nothing particularly surprising about any of this4Perhaps the tidbit that the Deganis are a notable exception to the overall trend, is worth following up on, but I don’t know what to make of it in isolation.. Overall this just confirms the common understanding of the history of making. What it does not do, however, is offer much insight into why Stradivari copies became increasingly popular after about 1800. 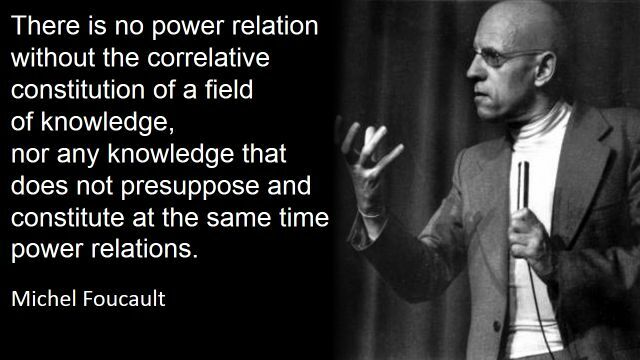 But it does give us a tool to start exploring that question more systematically. 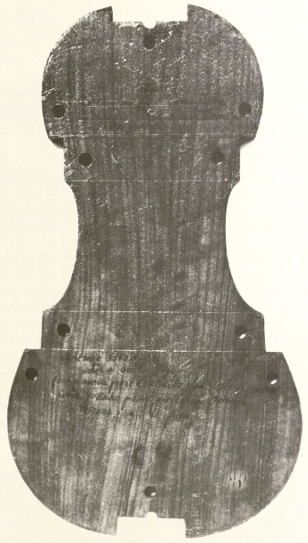 It would be interesting to look more closely at instruments with high LD1s, especially those made between the time of Stradivari and Lupot, to try to understand why those design elements have been largely abandoned and whether any are worth bringing back. I am particular curious what kind of correlation, if any, there may be between makers who employed baroque vs. modern neck sets and the LD1 values of their instrument designs, or if there are any other similar changes (string design, concert hall size, repertoire, etc.) whose time-line corresponds with changes in LD1 values. Of course it’s possible that the change in design preference was largely extrinsic to acoustic or other design needs, e.g. a shift in cultural preferences and attitudes towards the Italian baroque or Strad himself. Chitwood’s work on its own doesn’t answer these questions, and there is no Big Data approach that will. It would be wrong of us to collapse everything we know about Strad’s style into LD1. But this can give new approaches with which to examine the historical record that might bring out new insight that we would otherwise miss. To answer the second question Chitwood analyzed the violins using an additional 84 linear discriminants and treated the makers as though they were species who might be related to each other by evolution. I have reproduced the tree he came up with below for easy reference. For Chitwood the main takeaway was that this evolutionary tree of instruments corresponds fairly closely with the family tree of the makers, i.e. makers from the same family tend to use similar looking models. This again reinforces the notion that instrument design is transmitted primarily by direct copying and not evolutionary adaptation or drift. As a maker what jumps out at me most are the exceptions. Perhaps most notably the split in the Guarneris between more Amati-like and more Stainer-like. Furthermore, as a maker, I would have liked to rerun the analysis but with some makers—such as Guadagnini and del Gesu—split by period, i.e. treating early and late del Gesu as two different makers. And lastly, while the tree seems like a useful tool to help conceptualize the relationship between makers, it also left me with a number of follow up questions that I’m not entirely sure how to go about answering such as: What exactly are these Stainer like instruments, and how should I understand them in the broader context of violin making history? Is there actually a Stainer school or are makers arriving at those shapes for different reasons/routes? At the end of the day Chitwood’s family tree is really more of a forest level view, which is useful but only meaningful when you understand the histories and place of the individual members that are in it. Hierarchical clustering of violin shape. 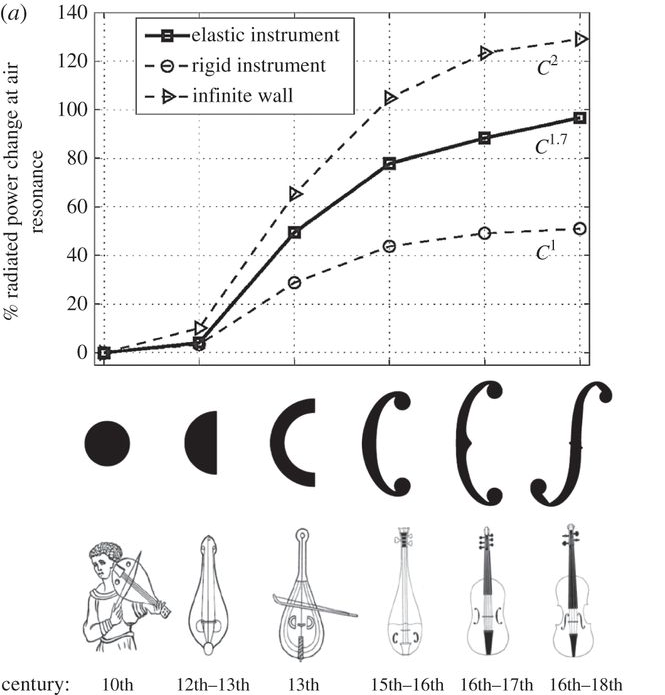 The second study I will look at is The evolution of air resonance power efficiency in the violin and its ancestors which looked at the impact of sound hole shape on the acoustics of the violin. The bulk of this article is dedicated to building a very technical mathematical model that can describe “the acoustic conductance of arbitrarily shaped sound holes”. That is, they want to be able to calculate how good differently shaped sound holes, and thus ff-holes, are at transmitting sound. This should roughly correspond with how loud an instrument can be, all other things being equal. The big take away from their model is that it’s the perimeter, not the area, of the sound hole correlates with output. So, broadly speaking, a crinkly shape like an ff-hole will be better at transmitting sound than a circle with the same area. This key insight drives much of the rest of the study. They then go on to verify their theoretical model experimentally, checking it both against a sound hole set in an idealized rigid body—which is not a violin—and an elastic body—like a violin whose top and back move. The study is careful to point out that their model only accurately describes the case of a rigid body. It gets close for an elastic body, so it’s still useful for a general comparison between instruments with different sound holes, but might be slightly off, which might be important for the fine tuning of a violin’s acoustic behavior. This is a good example of a case where the simplification necessary for a robust scientific model doesn’t quite line up with the specificity needed for making. But, as makers, while we need to keep such caveats in mind, they shouldn’t distract us from the broader points. Having established both the theoretical and experimental validity of their model the authors then use it to address two questions. First, they look at changes in sound hole design over the course of pre-violin instruments and, second, at changes in ff-hole design in the violins of Cremonese makers. The lute in fact became effectively extinct, perhaps partly due to its relatively low radiated power. This occurred as the violin’s prominence rose, at least partially because its greater radiated power enabled it to project sound more effectively as instrument ensembles and venue sizes historically increased. Increased power as sound holes evolved. The overall trend in sound hole shape towards designs that correspond with increased power is very convincing. However, I wish that they had provided more historical evidence to backup their evolutionary claims. For example, if their claim is true why wouldn’t viola da gambas with violin like ff-holes instead of the more traditional cc-holes have become popular? But instead each step in sound hole evolution seems to come only with an entirely new instrument. 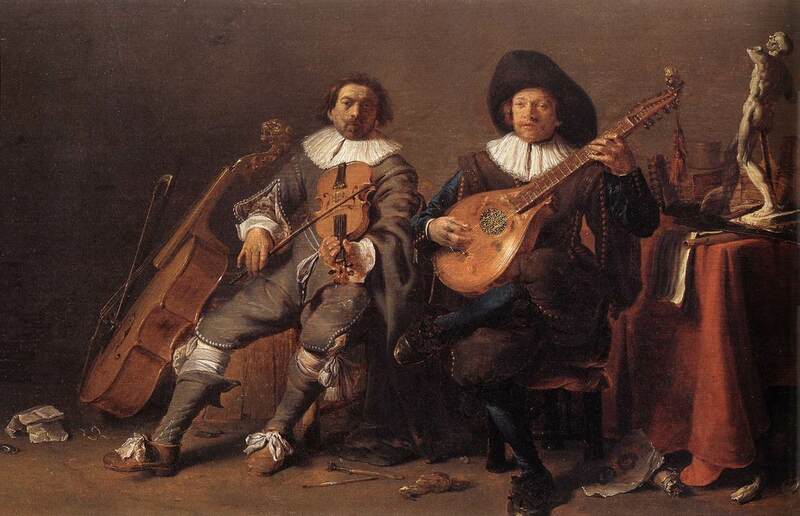 And while volume may be part of the lute’s decline, this was also a time of changing musical styles from polyphonic madrigals to the monody of the figured bass. 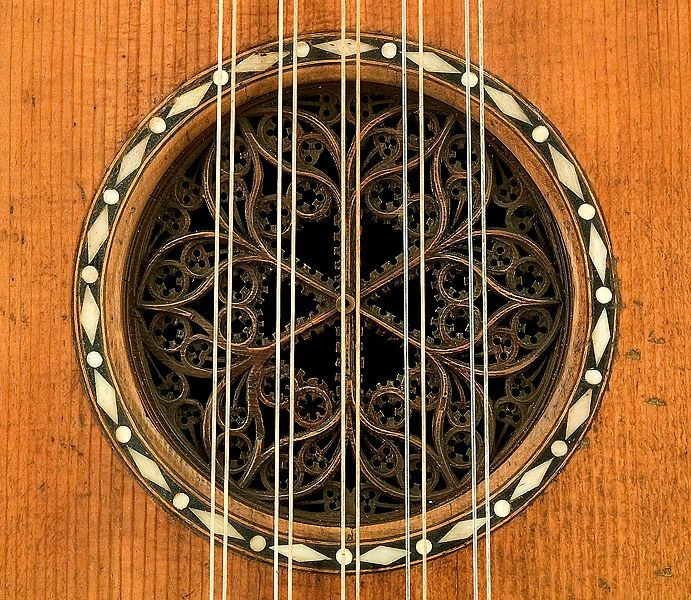 If anything, I would frame their findings the other way around, namely that the historical changes in sound hole design lends weight—though not proof—to the notion that the instrument builders of the past cared about increasing the ability of their instruments to project and carry, which is relevant to how we think about making copies of those instruments today. Before we follow that thread into the world of Cremonese violins there are three side issues the paper brings up in passing that I think are worth highlighting. First, they point that the fact that output correlates with sound hole perimeter and not area complicates linear scaling of instruments. As noted above, this is an issue that we makers often encounter. Digging into this study may help us better match our ff-hole choices to the air volume of our instruments, especially when attempting new viola models. 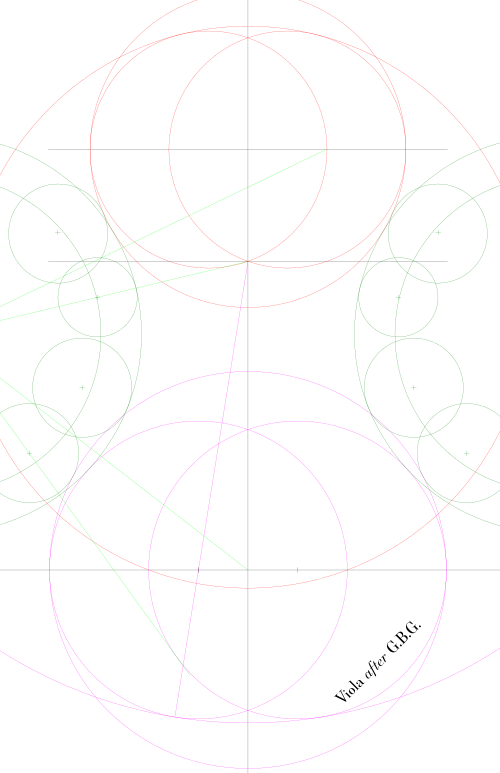 Second, they note that the output of two ff-holes is less than their sum, especially as they get closer to each other. I am curious how sensitive this affect is and whether the range of variation commonly seen on instruments is big enough to make a difference. 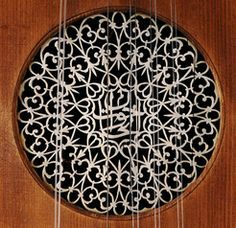 And third, they explain that rosettes, such as those seen on some lutes and baroque guitars, end up acting essentially the same as undecorated circular sound holes, which while not useful information is interesting. After looking at different instruments the authors turn their attention to the violins from three generations of Amati, from Stradivari, and from Guarneri del Gesu. The approach here is the same as before. They begin by noting that there is a trend of increased ff-hole size over time, which in principle corresponds to an increase in power output. 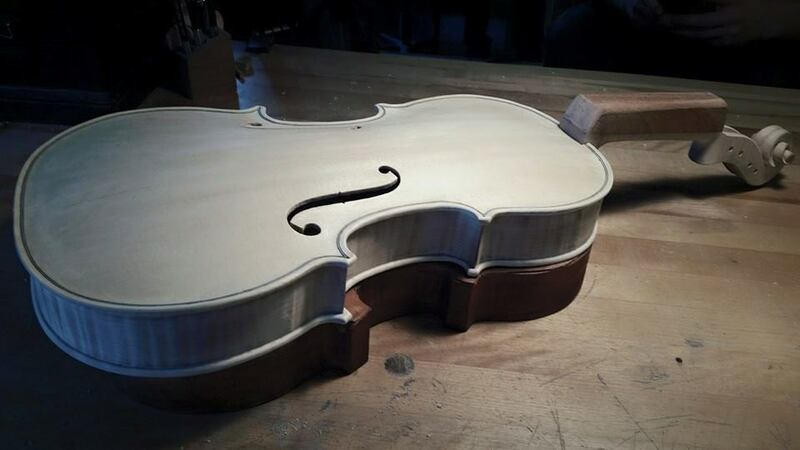 The authors, however, are quick to acknowledge that violins are complex so they check to see whether changes in back plate thickness, top plate thickness, thickness near the ff-holes, mean air cavity height, or air volume might be having a greater affect than the changes in ff-hole size. Their conclusion is that the combined effect of all six parameters is an increase in power output over time and that the increased ff-hole size is by far the single largest contributor to this. 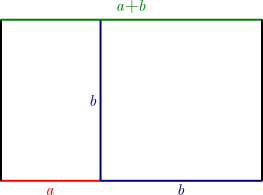 The other very interesting, and somewhat stunning, conclusion from this additional step is that while larger ff-holes would in principle have led to a rise in the frequency of the A₀ mode, other changes—especially increases in cavity air volume—balanced this out to keep the A₀ mode relatively constant over time 5With the notable exception of late del Gesu violins, which are outliers in so many way.. What part of the process classical makers were paying attention to I don’t know, but to me this clearly suggests that they cared about the acoustical properties of their instruments and knew how to manipulate them. Having established the historical trend of increased ff-hole size and increased power the authors offer a theory to explain how this may have happened. Their “… key assumption is that the instrument makers select instruments for replication from a current pool within their workshop.” From this they speculate that an evolutionary model may be at play, where small variations in making means that some instruments are more successful than others and that makers then pick those successful instruments as the templates for their next instrument. While this idea is certainly consistent with the available evidence I have two reasons to be unconvinced. First, given the number of paper templates that have been preserved from Stradivari’s shop I am not sure that their key assumption can be granted. 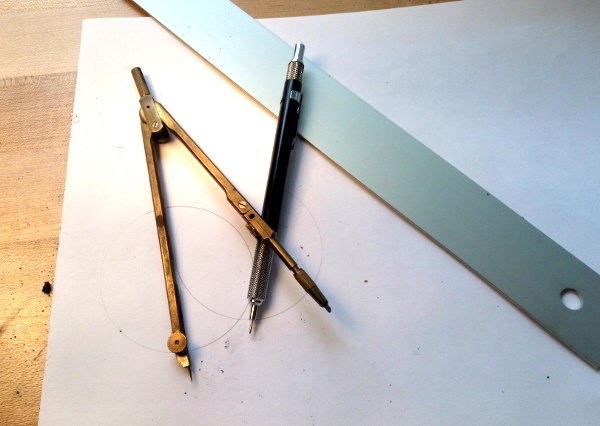 Why would makers copy existing instruments instead of continue to use their ready made templates? As with the changes in sound hole shape from instrument type to instrument type, looking at the graph of ff-hole size over time it looks to me that much of the change is driven by moving from one maker to the next, with late del Gesu as a clear outlier. Second, while perhaps the overall trend of increased ff-hole size yields a louder instrument by the time we move from Andrea Amati to del Gesu, I feel that the paper could have benefited from some psychoacoustic backing to show that the smaller variations from one instrument to the next by the same maker are enough to be noticed and acted upon. Expanding the study to more makers and a broader time span may help illuminate what’s going on. None of which invalidates, or even diminishes the importance of, their findings with regards to how ff-holes function acoustically. On the one hand, one could see this as an example of how looking at “the numbers” alone can be misleading, and more generally a lesson on the limitations of hard-science to the violin world. On the other hand, I like how a study focused on “pure” acoustics can point towards insights into our understanding of historical making, in this case by adding to our picture of what historical makers might have known and cared about when it comes to sound. The last paper I will discuss is probably the best known and most controversial: Soloist evaluations of six Old Italian and six new violins, better known as “The Paris Experiments”. This study arose out of a desire to address the commonly held belief that old (i.e. 17th & 18th century Italian instruments) possess a “fundemental […] tonal superiority” over contemporary instruments and claims that its findings “present a striking challenge to near canonical beliefs about Old Italian violins”. Let me first briefly summarize their process before examining whether their results support that conclusion. The authors chose to approach the question of instrument preference from the perspective of the player because “it is violinists who choose their instruments, and whose judgments are therefore most consequential.” They therefore set about mimicking, to the extent practical, a typical setting and scenario in which a soloist would go about choosing an instrument for themselves, while also maintaining the double-blind standards needed to make it a valid scientific test. There were 6 “old” and 6 “new” instruments for a total of 12. Each of the 10 soloists were first given 50 minutes to try all 12 of the violins in a practice room, as they might while first trying instruments at a shop. They were then later asked to try the same instruments in a large concert hall. After each session they were asked a number of questions both about general preference and about specific qualities such as loudness, playability, etc. And lastly, they were asked to play a subset of the instruments again for no more than 30 seconds each and asked what kind of instrument they thought it was, to ascertain whether they could differentiate old from new. The double-blind standard was maintained throughout by having everyone wear welder’s goggles and keeping the ambient lighting low. While criticism of the study’s methodology could easily be found in blogs, on Maestronet, and presumably around both orchestra and violin shop water coolers following its publication, I actually think their approach was basically sound. I doubt that any change to the set up, short of doing an entirely different experiment, would have produced a significantly different outcome. It is rather in the framing of the question and interpretation of the data that I think the study’s main weaknesses lie. The pervasive problem of this paper is that it keeps slipping into treating qualitative data as though it were quantitative. This lack of conceptual clarity makes it difficult to draw clear conclusions, which ultimately weakens the impact of this important study. On the one hand the authors openly acknowledge that no conclusion can be drawn that goes beyond the specific instruments and soloists studied. But the use of language such as: “A surprising result is that while old and new violins have similar ratings for overall quality, the old are on average lower for the other five criteria,” makes it sound like they might be trying to make a broader claim. Something like “A surprising result is that while the set of old and new violins have similar ratings for overall quality, the old instruments in the study are on average lower for the other five criteria.” would have been clearer and made discussing and analyzing the results easier. This problem is especially acute when they attempt to generate preference “scores” for each instrument. Even if we grant their somewhat arbitrary approach of assigning 4 points for being chosen first, 3 for second and so on, and then subtracting a point for each time it was rejected, to then sum the scores of the old and of the new instruments respectively in order to compare them crosses the line into statistical analysis that just isn’t very meaningful. After going through a few permutations of this the authors conclude, “We can find no plausible scoring system by which the old fare any better than this.” However, removing just the highest and lowest “rated” instruments—which could very well be outliers—yields a “score” of 25 to 27, instead of 4 to 37, and a radically different picture where old and new instruments are preferred essentially equally. The problem here is not that they tallied the scores in a flawed manner, but that tallying scores isn’t a fair way to analyze or convey the type of data they collected. A qualitative description of each soloists interaction with each instrument, a sort of anthropological ethnography, would have been more honest while pointing, I believe, to essentially the same conclusion. I do understand that the authors’ desire to bring together all of the data in a manageable form. I have re-graphed the preference generated “scores” in a way that I think somewhat more accurately portrays the data. 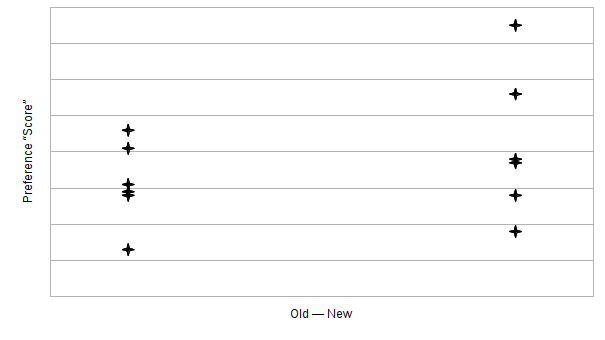 I have chosen to remove dimension markings from the y-axis because while the relative ordering of all the instruments might be meaningful the relative distance between them cannot be taken as particularly meaningful. I also believe that this graph suggests a more fruitful framing of the question than “Do musicians prefer old or new instruments?” Namely: is there any correlation between musician preference and instrument age. While one might be able to see a weak correlation in favor of new over old—a correlation that only grows weaker once outliers are removed—one would be hard pressed to pronounce a clear preference for one set over the other. But even here it is important to remember that this type of conclusion cannot be generalized beyond these specific instruments and soloists. Making suggestions in that direction only confuses the matter. This is not because of fundamentally flawed methodology, as some have suggested, but because of the type of data the study was set up to collect. All of this might seem like mere semantics. But, since this study, by its own admission, is motivated more by the desire to combat myths than to generate new insight it is precisely on this semantic level that we should care about how the results are portrayed. I believe the impact of the study would have been more powerful if it had been more careful in how it presented its findings. For all of its shortcomings I do think that the Paris Experiments were very valuable in lending strong credence to the notion that musicians should stop caring so much about whether instruments are old or new, which is almost—but not quite—the same as saying that no clear preference between the two can be found. As a maker the question of how self consistent musicians are when trying instruments sounds far more interesting than average preference between old and new instruments. In fact, I wish I could have been in the room with the soloists while they tried the various instruments to see what types of things they paid attention to and cared about. I realize it’s silly to wish that a study focused on one question had asked something entirely different, but in this case it feels like a missed opportunity. And actually, I don’t think it’s that different of a question. Describing how top musicians go about evaluating an instrument and what they pay attention to when they do—i.e. the type of thick description the study was well set up for—would have revealed how little musicians care about old versus new, while also avoiding the shortcoming of trying to get qualitative data to speak with quantitative rigor. I think part of the frustration and difficulty of responding to this study—which is also reflected in the mess of widely varying responses that came out after its publication—is that it was constructed in response to a pervasive but not entirely well defined myth. Any attempt to grapple with vagueries ultimately leaves one sounding a bit vague oneself. To my mind the strangest aspect of the entire old vs. new instrument debate is that so very few musicians will ever be able to play, let alone afford to buy, a classic Italian instrument that for most people it really doesn’t matter if a Strad is “objectively” “better” because it’s not a realistic option anyway. And at the same time, even those of us who advocate most strongly for modern instruments, continue to make instruments that are close copies of historical instruments. So hopefully this study can allow us all to collectively move on and start using science to address new, and more interesting, violin related questions in the future. 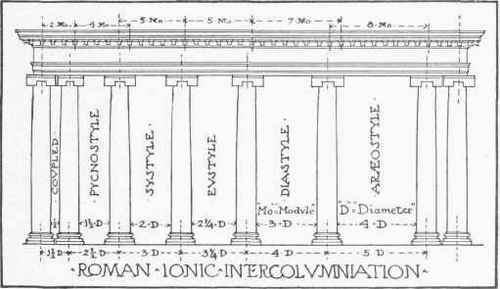 The original two new sciences. 1. ↑ With heavy caveats. 3. ↑ Note: this is not the same LD1 from the first part of the study. 4. ↑ Perhaps the tidbit that the Deganis are a notable exception to the overall trend, is worth following up on, but I don’t know what to make of it in isolation. 5. ↑ With the notable exception of late del Gesu violins, which are outliers in so many way.